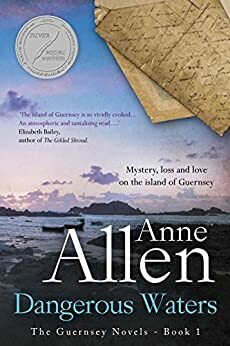 I’m really pleased to be taking part in the blogtour to celebrate all of Anne Allen’s Guernsey novels. I have read a couple of them and very much enjoyed them, particularly the last one The Betrayal. (You can read my review of The Family Divided here and The Betrayal here.) If, like me, you have recently been to the the film version of The Guernsey Literary and Potato Peel Pie Society, and it put you in the mood to visit Guernsey, you also have the amazing opportunity to win a two-night break to the beautiful island. Hi Joanne, thank you very much for taking part in the blog tour – we really appreciate it!